The faucets in our homes and businesses are unsung heroes when it comes to bringing water to us each day. Because of their steadfast work, a faucet and its internal components occasionally need maintenance and repairs. When your faucet needs a little TLC, call Sunshine Plumbing and Gas for faucet repair and all your Ocala plumbing services. The faucets in our homes and businesses are designed to bring fresh water to us for years. When a faucet begins to show signs of wear and tear, you need the help of a professional. Our plumbers are up-to-date on techniques and repairs to efficiently repair any type of faucet. Should the faucet need replacement, we'll help you decide which style best fits your plumbing system and lifestyle. We have the skill and experience required to properly install and repair plumbing to commercial and residential properties. How Do I Know If I Need A New Faucet? 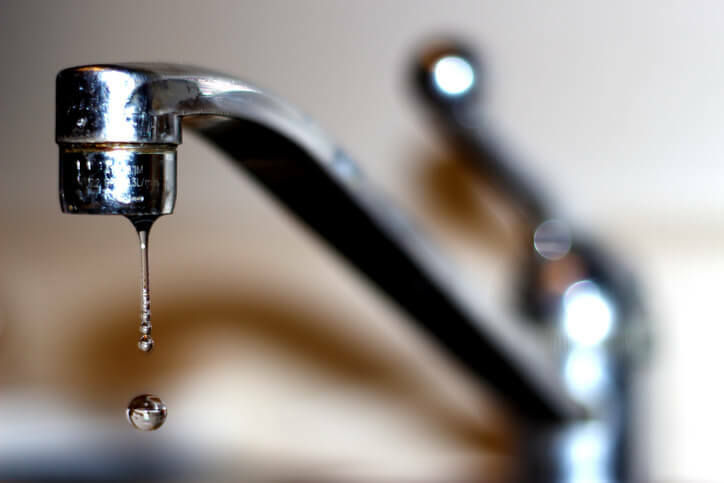 There comes a time when you begin wondering if it’s a better decision to replace the leaky faucet rather than continue to schedule plumbing repairs. Your faucet doesn’t need to completely break down or wear out before it reaches its functional end. These are the top reasons for which our plumbing repair company performs faucet replacements. If your faucet has a sprayer connected to it, commonly found in kitchens, it also has a diverter valve. This valve re-routes the water flow from the faucet to the sprayer when engaged. Over time, the diverter can become clogged with grime and build-up and need to be cleaned and/or replaced. Additionally, a clogged or broken faucet aerator can cause water flow issues. The aerator is a tiny mesh screen on most faucets and is screwed onto the of the faucet. A plumber will troubleshoot issues and make necessary repairs or replacements to have water flowing again. Worn cartridges and/or O-rings are generally easy repairs and fix any leaks, but if they don’t it’s time to replace the faucet itself. Internal parts like replacement washers, O-rings, screws, clips, and the valve assembly all wear with persistent use and will reach a point you’ll be better off replacing the unit. Since most of the faucet’s internal pieces are made from metal and plastic, you may hear some squeaks as the parts settle back into place following repairs. But, if the noise continues, the entire faucet may need replacing as the internal parts are worn beyond replacement. What Are The Common Types Of Faucets? There are four types of faucets found in homes and businesses. Sunshine Plumbing and Gas can help determine which type of faucet best fits your plumbing system and lifestyle demands. Compression faucets, often called old-style faucets, have two handles. A rubber washer compresses at the base of the valve when a handle twists to the off position. Inside the faucet is a cartridge moving up and down to allow or restrict water flow depending on the position of the handle(s). One-handle cartridge faucets move up and down to regulate water flow and left or right for hot or cold water. Two-handled cartridge faucets have a similar look to compression faucets but feel different when used as only one cartridge moves. A single handle connects to a ball-shaped cap in the base of the faucet. The cap relies on chambers, O-rings, and spring-loaded rubber seals to adjust water flow and temperature. The newest type of faucet, disc faucets have a single handle and mixing chamber, or pressure balance cartridge, for controlling water temperature. Inside the chamber, water flow is controlled by two ceramic discs raising or lowering with the handle. How Does Faucet Location Affect Plumbing Repairs? The location of a faucet can dictate how complex any repairs may be, as well as how much time and effort is required to ensure every residential and commercial plumbing component works effectively and efficiently. In addition to the faucet’s location, other factors contribute to faucet repairs and replacements, including the following. As outdoor kitchens become more and more popular in our homes, so do the odds of eventually needing an outdoor plumbing repair or two. Like their indoor counterparts, an outdoor kitchen faucet develops leaks and issues for the same reasons – worn washers, O-rings, and other internal components. We’re trained to troubleshoot and repair any outdoor residential plumbing issue so you can get back to fully enjoying the area. Modern kitchen faucets often have a functional lifespan of at least 10 years, thanks to excellent engineering. But when they do have an issue, usually it’s a leak or low water pressure. Internal components wear and/or corrode as the faucet ages, creating the aforementioned issues. The faucet in a bathroom usually has fewer demands on it than a kitchen faucet, simply to allow and restrict water flow. Yet, bathroom faucets range from a sink faucet to bathtub faucet, with each subject to general wear and tear and leaks as time goes on. Our plumbing repair includes top-rated customer service and thorough communication about any bathroom faucet repair in your home or business. Professional plumbers regularly repair the handle and/or spout of an outdoor faucet. Most are compression faucets and last years without issue. Leaks occur when the washer around the handle begins to wear out and allows water to drip from the spout.